The challenge from Get It Scrapped! 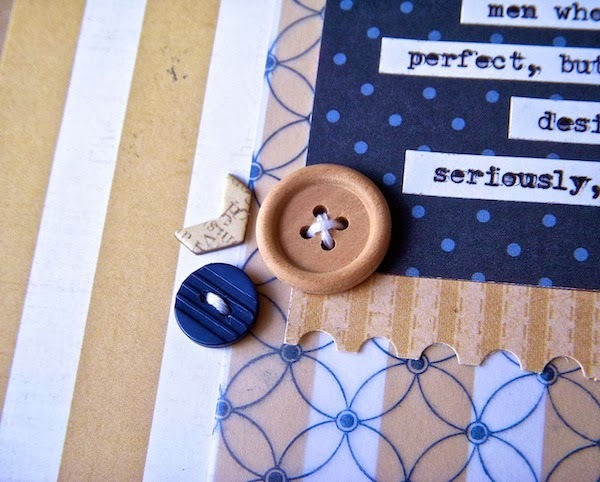 : Choose a striped patterned paper that has a mood and make a page that goes with this mood. You know, I never thought much about stripes having a mood, but they really do. I did a little online research and decided to make this page about my husband, who serves as one of the deacons at our church. My featured striped print is vertically oriented, symbolically stretching from earth to heaven and suitable for a page with spiritual meaning. Vertical lines also have a sense of formality and dignity that complement the photo. The thick parallel lines of uniform width and spacing suggest strength and stability, which our church leaders represent to our congregation. You can see what the rest of the team did with their stripes in the full article. I'm guessing you have a nice stash of striped patterned paper. Why not give this a try? Well, I didn't know all those things about stripes. Thanks for sharing your research. I like you page. It is dignified, yet not overly formal. I particularly like how you worked in the & flair. This is very nice. Love the stripes for this & love that vellum pattern! I love all of the ways you incorporated stripes on here, Sue! 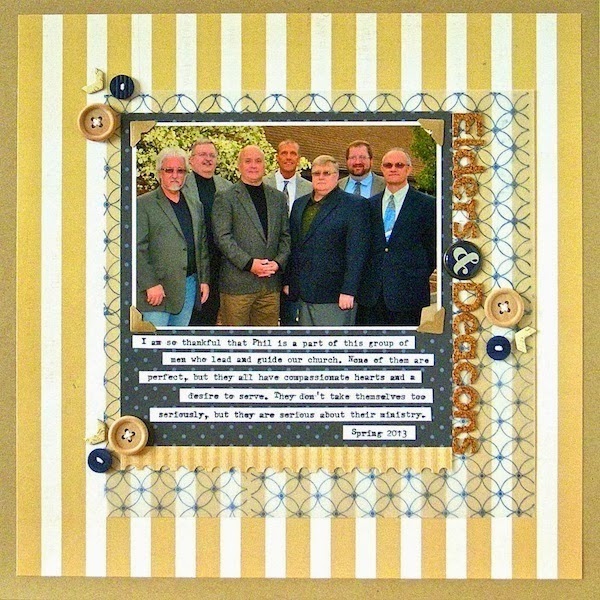 Such a great masculine page with the cork and colors you chose. Love the layout.....those stripes work so well! what a cool page! love the cork letters! Beautiful layout Sue! Love the meaning behind the stripes you chose for your background! Perfect with your photo! Very nice! Thanks for sharing your tops about stripes. And this is such a great page! 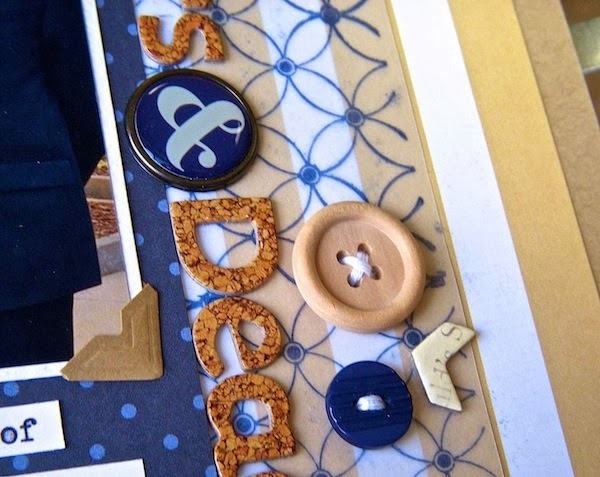 The stripes are great, but it was the nearly identical grouping of buttons and chipboard that really tie the page together for me. Nicely done. Sue, I'm a big fan of your work! Great page. This could be a pic of my husband and his fellow deacons! If there was a soundtrack for this page, it would be "We Just Need a Few Good Men"! Blessings. Thanks for your kind comment! It made me smile. Love that song, it is a favorite. very nice!! Love your style Sue! !